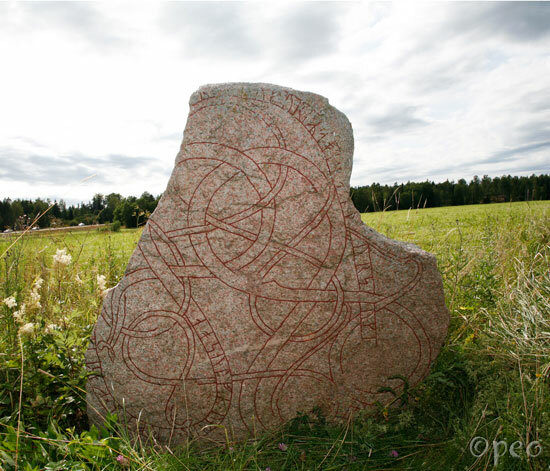 §Q Ásulfr and Geirr, Fastulfr's heirs, they erected the stone. Stands ... for the spirit of Arnþórr and Geirbjôrn(?). The stone is a bit damaged, so there are two possible interpretations of the text.